ProDairy is an initiative of Risa Farm and Fieten Limited which started in 2017. Risa Farm, which has operated as a dairy farm with state of the art facilities for over 40 years in Redhill-Limuru. Fieten Limited in East Africa, is active with master planning for dairy farms, farm barn designs, advise and sale of barn equipment, livestock housing products and cow comfort solutions. 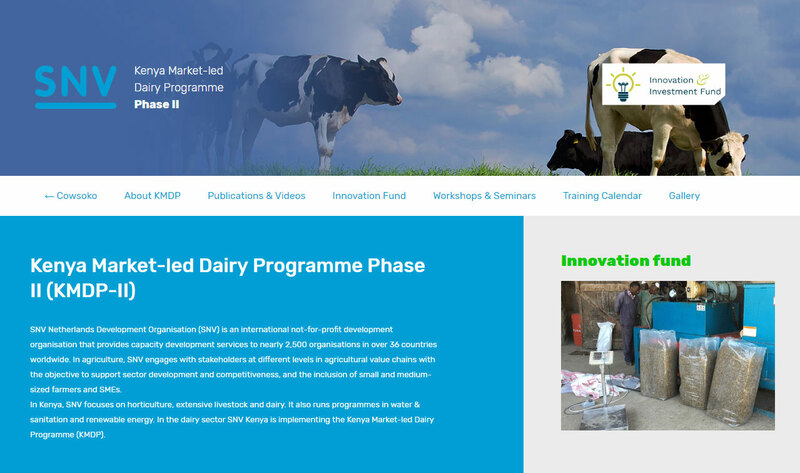 ProDairy is an initiative of Risa Farm and Fieten Limited which started in 2017. Risa Farm, which has operated as a dairy farm with state of the art facilities for over 40 years in Redhill-Limuru. Fieten Limited in East Africa, is active with master planning for dairy farms, farm barn designs, advise and sale of barn equipment, livestock housing products and cow comfort solutions. 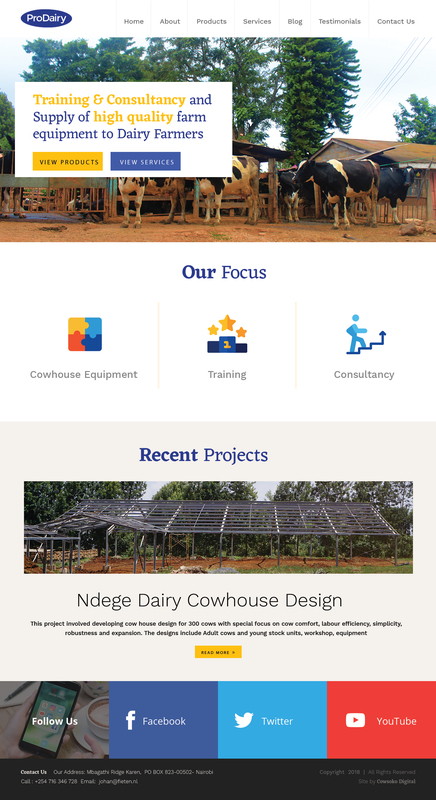 ProDairy intends to offer one stop solution in training, consultancy and supply of cow barn equipment. 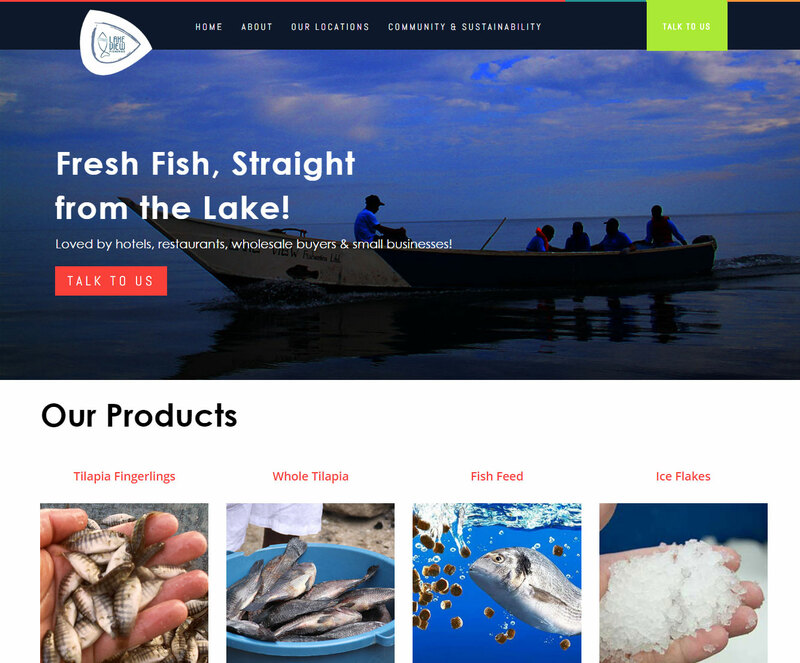 Our activities with Prodairy include digital marketing to introduce the company and its products to prospective clients so as to increase sales. Bles Dairies is a leading player in Genetics, Consultancy, and supply of high quality holstein Friesian cows. In Kenya, Bles dairy imports high quality cows from netherlands that it suplies to clients. 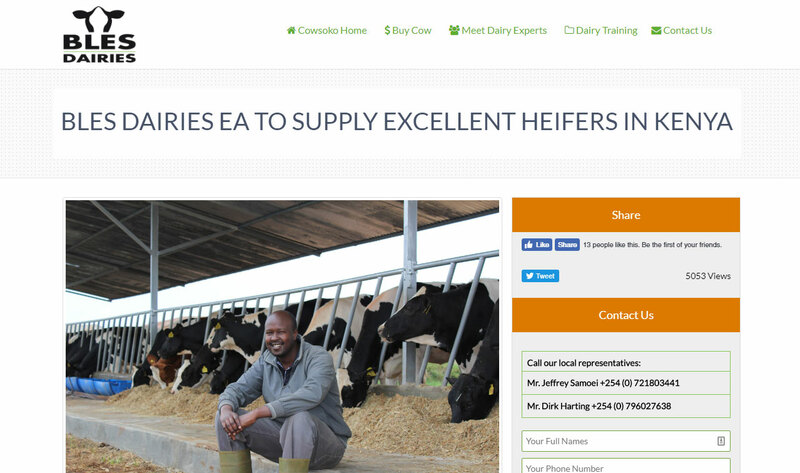 We host a microwebsite for Bles Dairies EA LTD on our platform where farmers can inquire about cows and place orders. 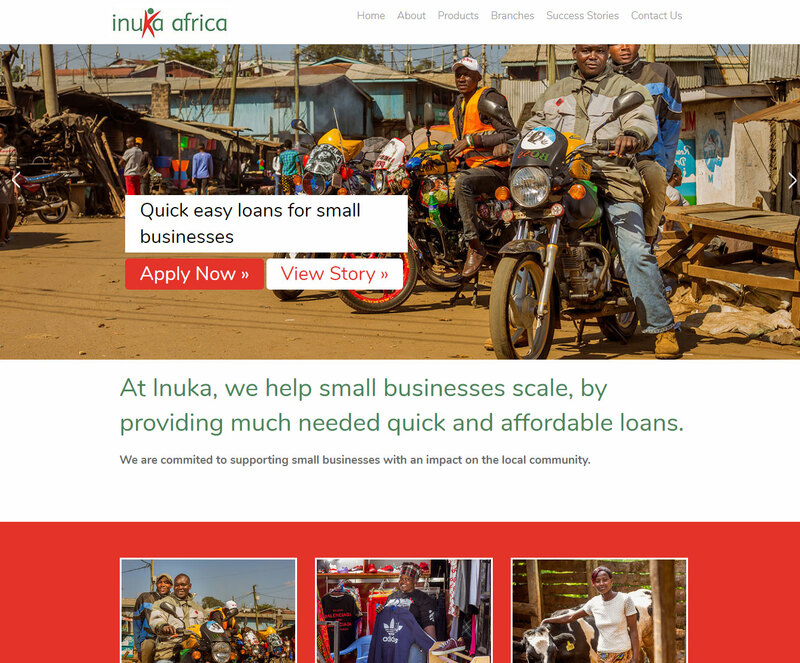 Inuka Africa is a non-deposit taking microcredit institution founded in 2011 with the aim of economically empowering micro and small businesses. We provide training, capacity building and financing to smallholder farmers and agribusiness actors. We not only train and lend predominantly to smallholder dairy farmers but also support their diverse farming activities. 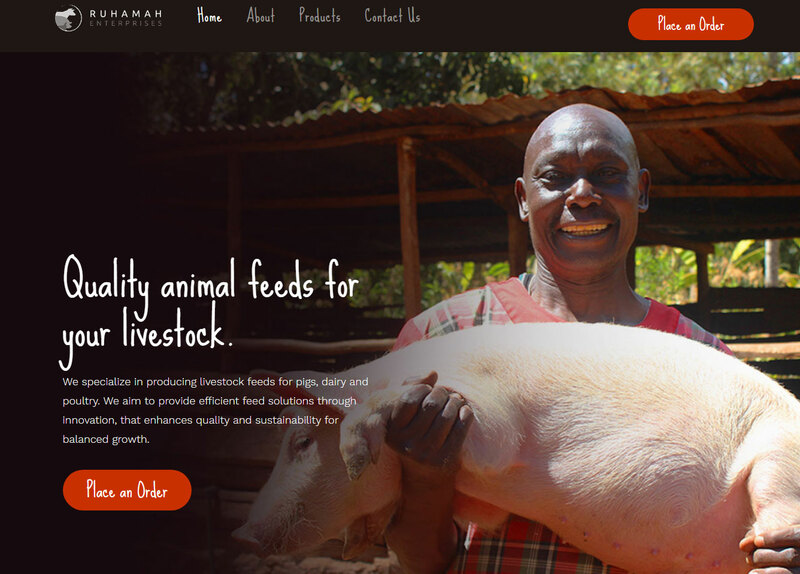 Ruhamah Enterprise was founded in 2012 by Jane Wangai as a manufacturing company, initially specializing in production of pig feeds and later expanding to production of feeds for dairy and poultry. We plan to continue growing and expanding to provide more products and services, including training programs for our customers. We noticed that many farmers we facing problems with poor quality of raw materials and animal feeds, lack of knowledge on sourcing of animal feed raw material and health management and limited extension services to help in learning and improved farming practices. 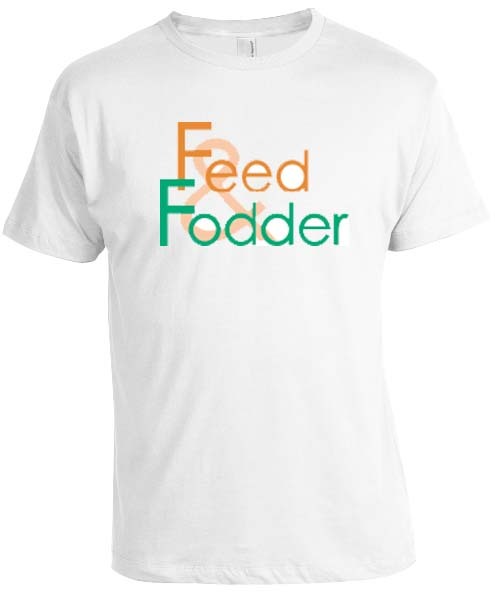 Ruhamah steps in to provide a solution for those that seek to rear livestock commercially by manufacturing quality animal feeds and providing quality raw materials to farmers who have their own mixing machinery and would like to do their own feeds. 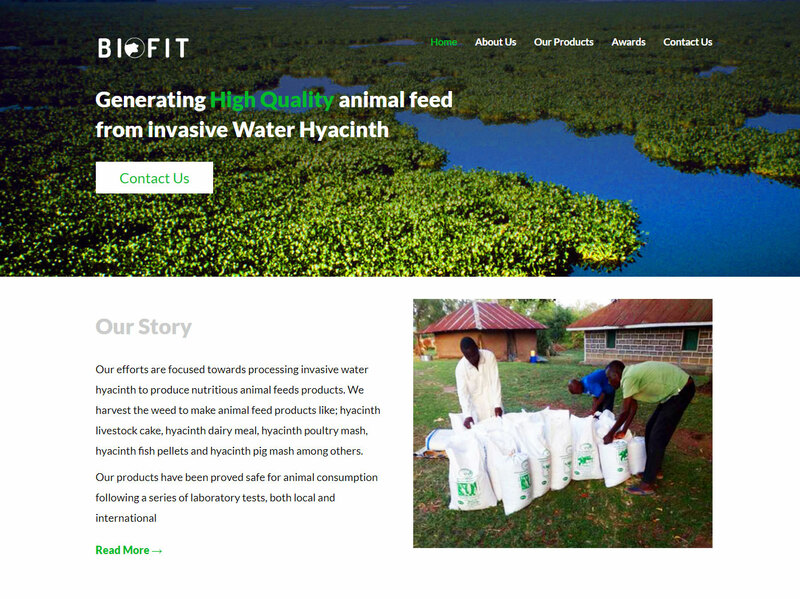 Biofit was founded by four Livestock and crop researchers from University of Nairobi and Egerton University because of challenges faced by livestock farmers like high cost of animal feed, low quality livestock feed and inadequate feeds for livestock. That is why we realized an opportunity of processing water hyacinth, the invasive weed in lakes and other water surfaces to make animal feed products like; hyacinth livestock cake, hyacinth dairy meal, hyacinth poultry mash, hyacinth fish pellets and hyacinth pig mash among others. Water hyacinth is a free floating water plant with a capability of doubling rigorously to capture almost the entire source of water it is growing in. In Kenya it has covered more than 20,000 ha space in Lake Victoria the biggest East Africa Lake and other rivers.